Cor/log Probe 1P is the first product realisation of our pressure sensing product pipeline. 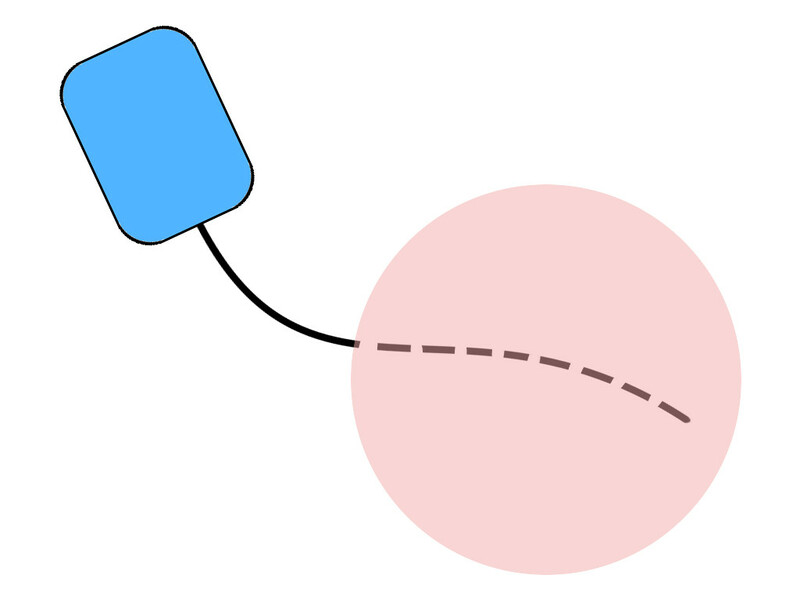 The electronics/housing part of the probe is outside of the body and only the catheter is introduced into the body. The development is co-funded by the Bavarian Ministry of Economic Affairs and Media, Energy and Technology. 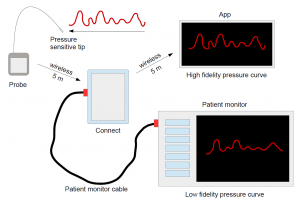 The probe technology can be used to monitor high fidelity blood pressure curves while simultaneously enabling patient mobility trough wireless data transfer. PAP is the validated biomarker for heart failure monitoring and reduction of rehospitalisation for outpatients. 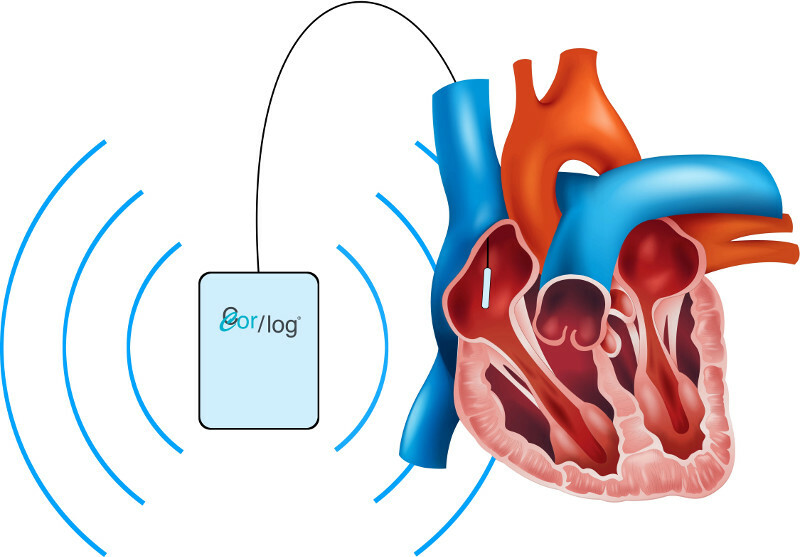 Cor/log Probe 1P can be used to monitor PAP in the right ventricle and use this information to manage medication of heart failure patients inside the hospital. Structual heart diseases can be identified and monitored by analysis of blood pressure wave forms inside and around the heart. Due to its high fidelity measurements our probe can give physicians high resolution information about structual heart diseases of their patients. Cor/log Connect will the first available data receiver for Cor/log Probe 1P. 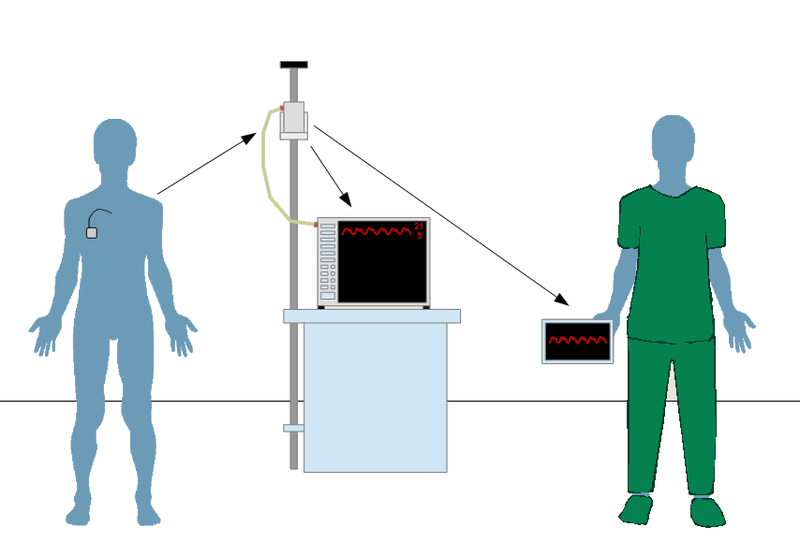 Cor/log Connect receives data from Cor/log Probe 1P and can be connected either to a patient monitor via cable or to a mobile device by using wireless technology. The mobile device will be running Cor/log App. This mobile software can save, load and show blood pressure data.